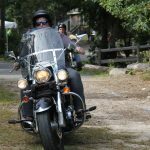 Photos from Paul DeMeo Memorial Motorcycle Run are now available! CLICK HERE to view! We are incredibly grateful to Cape Cod Harley Davidson, Shepley Wood Products, Mid-Cape Home Centers, FL Quinn Construction, the DeMeo Family and David and Missy McGraw. Thank you to all of our volunteers, the musicians of the Dirty Dance Water Band and The See and to the participating stops: Olivers and Planck’s Tavern, Cape Cod Beer, The Red Nun, and the Hot Stove Saloon!